Amazon in mid-January said it would be creating 100,000 full-time, full-benefit jobs in the US in the coming 18 months. Some of those new employment opportunities, we’ve recently learned, are destined for the Bluegrass State. The e-commerce giant has revealed plans to build a centralized air hub in Kentucky to accommodate its growing fleet of Prime Air cargo planes. Amazon last year, if you recall, leased 40 Boeing 767 cargo jets from Atlas Air Worldwide and Air Transport Services Group to help build out its air transportation network. Of those, 16 planes are already in service with the remainder to be added over time. 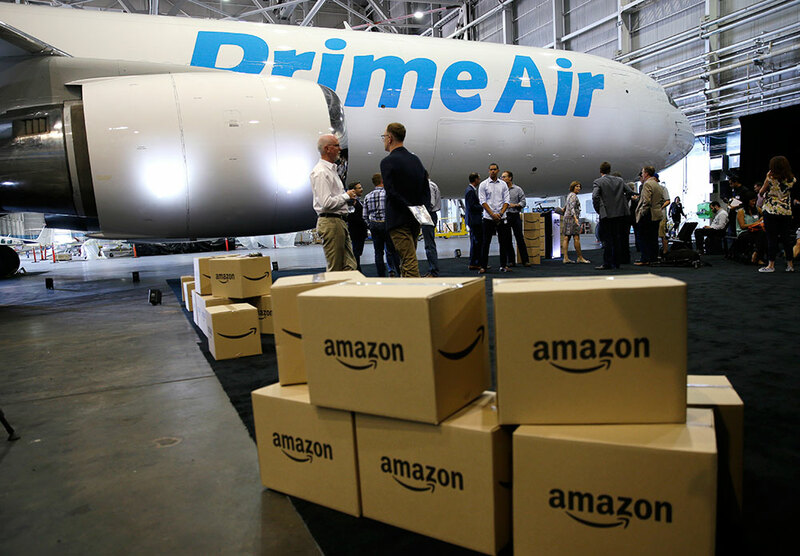 In addition to reducing its reliance on traditional air cargo service providers, operating its own air fleet also affords Amazon greater control over that leg of the delivery process and no doubt helps speed things along. Dave Clark, Amazon Senior Vice President of Worldwide Operations, said they selected Hebron (Kentucky) due to its large, skilled workforce, centralized location to nearby fulfillment centers and the favorable quality of life the city will offer its employees. The new hub will be located at the Cincinnati / Northern Kentucky Airport (CVG). Candace S. McGraw, CEO of the CVG Airport, said they’ve worked hard to ensure CVG is a great place to do business and couldn’t be more pleased that Amazon recognized those efforts with plans to build a top-in-class air cargo hub at their airport. Once complete, Amazon expects to add another 2,000 locals to its workforce, joining the more than 10,000 employees that already work for Amazon across the state.